If you are planning your honeymoon and have a desire for something exotic, Thailand is worthy of consideration. Unparalleled beauty, luxurious resorts, friendly people and delicious cuisine are reasons why it is a desired honeymoon location. Thailand has consistently been at the top of favorite locations and Fodor’s has again picked Phuket as one of its top honeymoon destination spots for 2015. There are many perfect honeymoon destinations in Thailand, but here are four popular choices, each with their own special magic and beauty. Thailand’s largest island, Phuket offers visitors just about any experience they could want, including romance and luxury. Endless white sand beaches and some of the best sunsets in the world make it a dream location. The vibrant nightlife and great restaurants adds to its appeal. Resort: Tucked into a lagoon along Phuket’s Mai Khao Beach, Anantara Phuket Villas is a luxurious refuge that features villas with private pools that offer seclusion, beach access, and beautiful sea vistas. One of Thailand’s most popular honeymoon destinations is Ko Samui. This large island in the Gulf of Thailand has plenty of sandy beaches to choose from and the interior of the island is covered with coconut trees and soft, rolling hills. Resort: Six Senses Samui features private villas and sweeping panoramic view of the Gulf of Thailand. Relax in its infinity pool or indulge in their award-winning cuisine while dining on their terraced decks. Secluded Krabi with its dramatic cliffs and clear water make this mainland beach destination a great place for couples. Krabi is close to Phuket and the other islands in the Andaman Bay making it a great base to explore the rest of the region. Resort: Phulay Bay, A Ritz-Carlton Reserve is a luxury resort on the shores of the Andaman Sea. 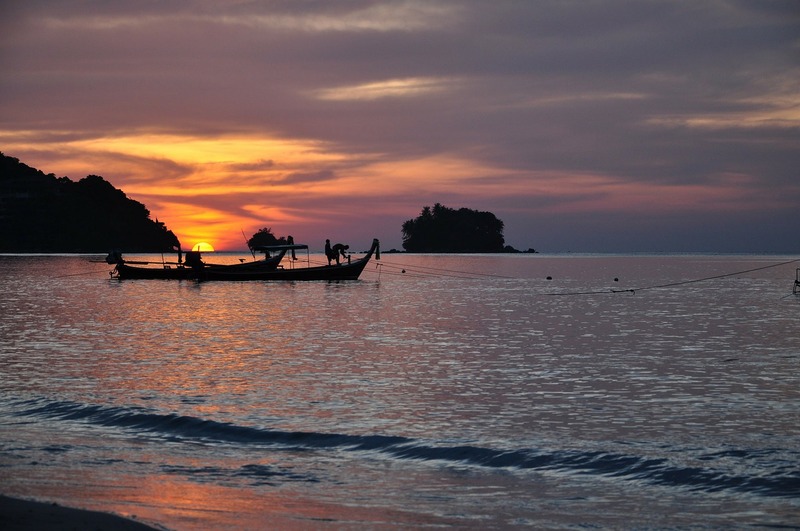 On Phulay Bay, you’ll enjoy private beaches and lush rainforests. Take a romantic boat ride on Phulay Bay, or for the more daring, take an elephant ride through the rainforest. Khao Yai is a great destination spot for honeymooners who pack their hiking shoes. Just a few hours from Bangkok, Khao Yai is a mostly rural, mountainous area with small villages, lush greenery and the country’s largest national park. The region also has a number of wineries that offer tours and tastings. Resort: The tented villas of the Kirimaya Resort give guests a taste of luxury while nestled in a wilderness area. Watch wildlife up close, hike the nature trails, or simply relax by the outdoor pool or in the MAYA spa. No matter your honeymoon destination, Wireless Traveler can help you stay connected. 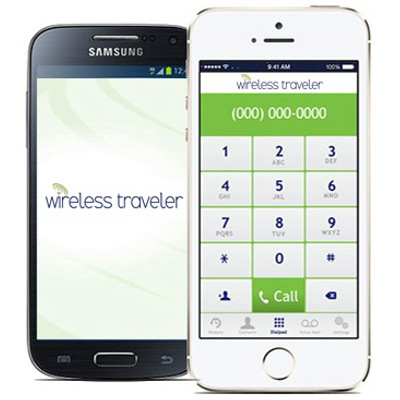 Download the Wirelesstraveler Wi-Fi Calling app from iTunes or Google Play – you will be able to call each other for free and make calls to the U.S. for only 2 cents per minute when in WiFi mode. Additionally, a Wireless Traveler Global SIM card for only $24.95 and some prepaid airtime will keep you connected throughout Thailand.